WARNING : this drama is only for sensible and mature audience. The contents of this drama can blow your mind so it is highly recommended to watch it on your own risk. the drama revolves around lives of 3 couples in their 30s. It narrates how the difficulties that they face in their lives can be explained in the most plain yet deep words. Also the relationship b/w different couples and how they try to overcome it. The best part about this drama is the way how unexplained feelings are explained in simplest way. How a loveless marriage can make 2 people fall for each other more deeper and yet maintain their space without intruding each other's privacy. It explains how the society is still cursed by discrimination, nepotism and gender based inequality. At times it was able to give some honest views about how the female leads felt by expressing their true self and not covering up their tears behind makeup or a mask. Because nothing haunts you more than the things and feelings left unexpressed. Although it was a good drama but there are still some drawbacks which I want to point out. 1. The episodes were too long because the writers were suppose to focus on all 3 leads. 2. The storyline was unpredictable in start but it became a bit predictable after some episodes. 3. It got bit monotonous after few episodes because it started following the story of clichéd kdramas. So I would watch it after piling it up then watching it fresh. So lastly I would say that more then the story or acting, the way each dialogue of this drama was carefully knitted to the scenes or people associated with it was beautiful. Each line of the drama depicts the struggles and hidden meaNing that could be read from our surroundings to overcome it. Also how some plain lines can express a person's emotions and his personality in a raw and simple form. Breaking the lane of the monotonous plot and the melodramatic stories of the ongoing kdramas this one had made its way to the top list of my kdramas. Girls generation 1979 doesn't just focuses on the romance b/w the leads but also the plight of the women in the 70s. Though the leads, male female both are quite young but they bring justice to the role that they portrayed in the drama. It's a short drama of only 8 episode but it will make you witness the roller coaster journey of love, infatuation, betrayal and true friendship. It will make you smile and cry at same time. It was worth watching and I hope the writers keeps making such amazing dramas. Even though it was a short of only 8 episodes, it doesn't wrap everything in a haste rather it focuses on life of every character involved in the drama and end them beautifully. Everything from the plot to the acting and the soundtrack was beautifully done and will give you the feels of 70s. Worth watching! This could be the shortest review I could write for a drama that's so good, because I'll surely ran out of words to express How beautiful this drama was. The only reviews that I write are either for the best or the worst, and this one is ofcourse the former. -Im running out of synonyms of nothing so someone need to help here. A human being has bundles of emotions, how can u expect someone to suppress them and remain expressionless?Always smiling doesn't heal things, but expressing them do ???????? I believe my review would encourage viewers to watch it, I'm sure people won't regret their decision. If you like it plz let me know how u felt??????????? ?, in case u don't, I'll take the blame so u can curse me too????????????. CAUTION: as explained earlier too that I seriously don't write fake reviews. 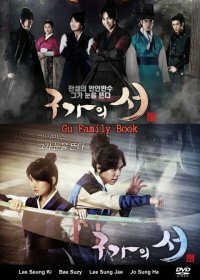 I really had hard time in start, because of those sugar-coated sweet reviews from users on other sites, while in actual the drama was complete sh*t. The writers ain't giving me money to write good reviews or else my reviews list and my bank account both would had been full????????????????. M just helping sensible users and MDL people???????? Well I believe that this is one of the most powerful and worth watching drama of this year. In the mid of this year my watchlist was mostly full of dropped Dramas than the completed drama. This a star-studded drama with not only the best cast but story, Writers and even plot. Firstly the opening of the drama introduces you to the lead female protagonist bae Suzy who as a reporter is smart, intelligent and have a different way of looking into things. Tbh this is my first time watching bae Suzy's drama. Her character is portrayed as someone who can forsee the future. She is woman with beauty and intelligence both but knowing the future is also a curse because she can't change what she sees. The other male lead is Lee jong suk who after meeting Suzy starts to see the future too but unlike Suzy he has a capability to change the future. Unlike other dramas where he is portrayed as someone who is an ideal type of person with nothing wrong with him here he portrays as someone who take up things and sometimes try to prove his worth but regrets it later because he fears that he might not be able to pull it off. Now the next role of woo tak who is a dedicated police officer. But even though he was in a side role he's an eye candy, drawing all the viewers attention and making us drooling over him. We had our eyes more glued over him than LJS. Like LJS he develop the ability to see the future too. The most interesting way is how the different characters in the drama are connected together by the same ability to change and forsee the future and thus shares a adorable friendship to help and protect each other. Finally there is a villain Lee yeob who is a prosecutor like jae Chan but unlike him he support the criminals and act as a parasite to manipulate evidence for them and feed his greed for money and power. He being in his profession has destroyed so many innocent life by tampering and changing the evidence that his deeds made him hate himself for helping wrong people. The overall drama was good but sometimes LJS and bae Suzy's acting seems too much at places. They looked more like overacting at places but thankfully the powerful plot was able to deal with it. The only thing that I can say about this drama is Daebak! My eyes almost got burned while watching this drama and there were tears of regret till the end. Like what the hell I just see, wasted so much time on this stupid drama. God! Plz kill me! And if someone say that it was a grt drama m sure that person needs to see a doctor. I won't even want to waste my time to review it, but m doing for sake of other user so that they aren't fooled/cheated me. The drama shows such good picturization but thats just a way to fool us so don't get caught and run away as far as possible from this drma. Don't even try to watch it , DON'T! CAUTION: WATCH IT AT YOUR OWN RISK! King's love in the start went flawless and i enjoyed it to the core, from the cast to the soundtrack and everything. Im Siwan doesn't disappoint at all in the role of a young crown prince, having a deranged father and an overprotective mother. Due to the strained relationship b/w the father and son, he finds love and haven in the company of his one and only childhood friend Wang Rin. Their friendship was their armour which kept them together in all odds of life. Lady eun San on the other hand seems bold and strong woman who enters their lives and that's when the trio is built. The first half of the drama was interesting as we see how each character evolved from weaker to a stronger personality. What annoyed me is that after the first half of the drama ended, there was so much chaos in the plot that it was unclear which track the drama is following. The plot was completely twisted and the emotions of the characters were so unclear that even though the drama ended, that unsatisfying feeling still lingers. I almost felt like dropping it because even though it wasnt a cliché like other dramas yet it creates so much uncertainty and frustration among us, the viewers that we couldn't decide if we should continue watching it or not. Hong Jung hyun was unexpectedly good and fits in his role. His devotion for the crown prince as a friend was the only thing that made me watch it further. I hated his character in scarlet hearts ryeo so much that I didn't know that his character in this saguek will completely wash away his character from the previous drama. More than the love b/w any of the leads I ship WonRin more and maybe that was one of the reason I continued watching it. The most disappointing character of the drama was yoona who seems so fickle at times that her character completely lost the track and it was hard to figure out what she wants. All her hollow bravery and smartness faded after a few episodes when she transformed from a bold character to a damsel in distress with those teary eyes in almost every episode. Also the writers seems to be a bit averted and confused with the plot. They first make the villain justify the cause behind all his actions but later makes him a completely aberrant being who just seems to serve the powerful and wants to be a king maker. Song In's character seems to be portrayed as someone who cares for the common people and thus want to remove the powerful and ruthless Yuan rule but after a series of events he turns out to be a greedy mad man who only wants power. The only thing that I might miss about this drama is the bonding b/w the leads and the soundtrack. Well I recently completed this drama and will keep it short. As far as the story and plot is concerned this is an amazing drama. Both the main leads of the drama acted well. Wasn't expecting such comic role from Kim nam Gil but he was really great in playing his role as Dr. Heo Im. He was able to transform from good guy to bad and bad to guy very smoothly. He was hilarious at times and even made my heart pound with his chemistry with the female lead. Tbh i did not like the female lead Kim ah Joon in the start. She seemed to have a cold and sly personality from her look. But as the drama proceeded I loved her acting more. Watching the drma it seems that she took her role very seriously and her relationship with Dr. Heo Im was very touching. Their chemistry will make you cry, love and adore them so much that it will make your heart flutter. The plot of the drama first started with time travelling but the way both the characters supported each other to build and evolve into a better person was appreciable, i.e. how Dr. Heo Im character changes from a greedy to a selfless person and Yeon Kyung character evolved from a cold hearted person to someone who was empathic towards her patients. And the best part of he drama is that despite all the time travel b/w the Josean era and the modern Seoul it had a HAPPY ENDING!